By now it’s common knowledge that the Proteas love playing in pink. In six matches to date, South Africa have won all of them and will be looking to extend that streak on Sunday against Pakistan at the Wanderers. The annual game has become such a showpiece on the local cricketing calendar that it almost qualifies for its own collection of statistics. Here are a few that stand out. 7 (or 6.95) – The Proteas’ average run-rate in Pink ODIs. This includes 8.11 per over in last year’s clash and an incredible 8.78 in 2015. 296 – The Proteas’ average total in Pink ODIs. That number is skewed over the past two years, when South Africa only needed to chase 164 and 202. 95.2 – AB de Villiers’ batting average in Pink ODIs. That includes two hundreds and two fifties, with a highest score of 149. 81.4 – Hashim Amla’s batting average in Pink ODIs. He also holds the record for the highest individual score, an unbeaten 153 against the West Indies in 2015. 2 – The number of hundreds made by opposition players. Joe Root made 109 for England in 2016 and Shikhar Dhawan 109 for India in 2018. By contrast, South African players have scored six. 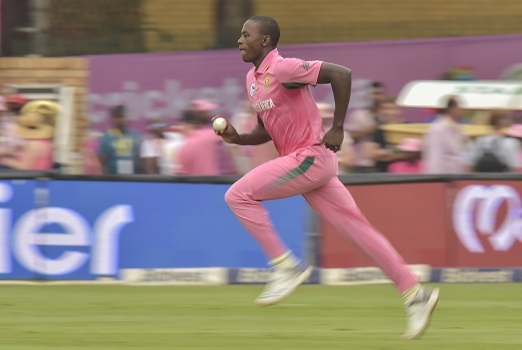 4/45 – Kagiso Rabada holds the record for the best bowling figures in Pink ODIs. Interestingly, it’s the only time any bowler has taken four or more wickets in this fixture.